To keep up with the trends and stay ahead of the competitors, companies are always striving for excellence by improving their products continually. 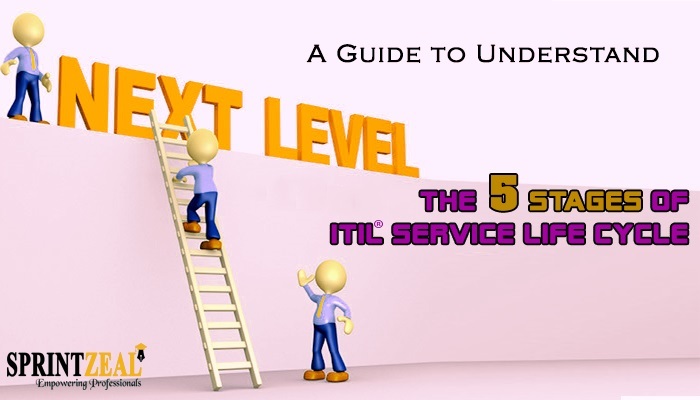 As we know, ITIL® (an acronym for Information Technology Infrastructure Library) The ITIL® takes an approach that involves various stages of ITIL services. All of these stages rely on each other for information and feedback. The concept involves continuous checking and tracking of the progress whilst analyzing possibilities of failure and potential risks. When the demand for a product in the market varies, keeping a check of variations and making appropriate changes to the system is done. This helps organizations stay balanced and gain profits despite fluctuations in the market. Service Strategy is the first stage and core of the Service Lifecycle. It primarily focuses on defining the strategy and maintaining it. It ensures the strategy is implemented effectively. It helps develop strategies that are beneficial for the overall development of the process. Taking into account the aspects like constraints related to business, by government and others, it helps the professionals make a sound decision. The major focus is to develop a strategy that provides long-term benefits to the products being offered. Areas like cost management and risk management are highlighted with respect to the process. This phase enhances the decision-making skills of the IT professionals and enables individuals involved to understand the needs of customers. • A proper support system is provided after the implementation of service. This phase prepares managers and employees or team members to work in a productive manner. It prepares them to handle changes and incorporate the same in a process without disrupting or affecting other processes. Basically, this includes improvements required to enhance the value of a product. Continuous improvements based on the demand and customer needs is carried out. After the design stage, the service transition phase is put into action. The purpose of this stage is to eliminate the possible differences that exist between process and operations area. As improvement is the driving factor for consistency in profits, this phase accelerates the process by making necessary changes. It equips individuals with procedures to implement changes based on the demand and need of the customer. May it is a new service or an existing one, the service transition phase takes into account the possibilities and enhances the quality of it. Failures at the stage of delivery can be avoided through this stage. The Service Operation phase of the Service Lifecycle guides a professional on the daily operations taking place for the progress of a project. Its duty includes ensuring timely delivery of the services to the customers. Avoiding lagging or delay of services requested by the customer is of prime importance. The operations team ensures the stability of service that is reliable. They provide consistent support in regard to a product or service being offered. Since operations are an integral part of the process of development of a product or service, professionals should be well aware of the intricacies of operations management. The primary goal here is to keep the process running smoothly, reliably and efficiently. All in all, it strives to provide value to both the customer and the service provider. Like the name suggests, Continual Service Improvement deals with the areas where the possibility of improvement is sited. Considering the market the demand or variations in the needs of customers, this phase focuses on continuous improvement of the services or products being offered. It takes into account various aspects of growth areas and works in conjunction with the above stages. With the feedback or information collected from all the stages, this phase is subjected to making possible improvements in the service. Primarily, it focuses on aligning the services with the needs of the business. As the saying goes, there is always room for change and improvement. By regularly analyzing the process and finding possibilities for improvement, several organizations keep up with their competitors. Moreover, this phase teaches IT professionals the skills required for locating areas of improvement in a process. ITIL® has existed for more than 25 years and the amount of value and benefits it has provided to IT industries is invaluable. The future of ITIL® seems promising with the rise in organizations adopting its principles. It is the most widely adopted IT service management approach and ensures on-time delivery of services to the customers. For individuals aspiring to start a career in ITIL®, there are several opportunities that promote growth in the coming future. Taking up a certification course in ITIL® will be a great option as it is highly valued by employers from top organizations.